Jack Little is a British-Mexican poet, translator and editor. He has lived in Mexico City for ten years, with one year of that time spent in Spain. He has participated in several literary events including La Fería del Libro en el Zócalo, The Linares Literary Festival and Transmedia Shakespeare. He was the summer poet in residence at the Heinrich Böll House in Ireland in 2016. 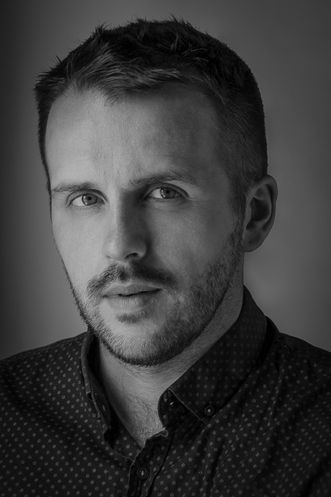 His first poetry pamphlet, “Elsewhere” was published by Eyewear, London in 2015 and his first full collection will be published in the UK in 2020 by Red Squirrel Press. Don Cellini is the translation editor for The Ofi Press. He is a teacher, poet and translator. 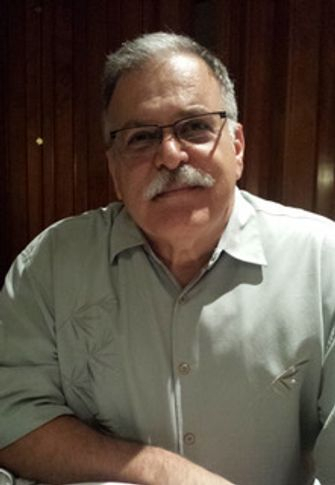 In addition to the poems and eChapbooks that he has done for The Ofi Press, he has translated El silencio de las horas / The Silence of the Hours by Venezuelan poet Amanda Reverón; and works by Mexican poets Elías Nandino, Selected Poems; Imágenes para una anunciación / Images for an Annunciation by Roxana Elvridge-Thomas; No recuerdo el amor sino el deseo / Desire I remember but Love, No, by Sergio Téllez-Pon; Migrare-Mutare / Migrate-Mutate by Rossy Lima; and, most recently, Historia solar/Solar History by Jair Cortés. He is also the author of three chapbooks and two full-length poetry collections. He is professor emeritus at Adrian College in Michigan, USA and in retirement divides his time between Toledo, OH and Savannah, GA.
You can see more of his work at www.doncellini.com . Agnes Marton is a Hungarian-born poet, writer, librettist, Fellow of the Royal Society of Arts (UK). Recent publications include her collection 'Captain Fly's Bucket List' and four chapbooks with Moria Books (USA). She won the National Poetry Day Competition in the UK, and an anthology she edited (Estuary: A Confluence of Art and Poetry) won the Saboteur Award. Her work is widely anthologized, some examples: 'Alice - Ekphrasis at the British Library' , 'Anthem: A Tribute to Leonard Cohen'. Her fiction was called 'exceptional' at the prestigious Disquiet Literary Contest (USA). 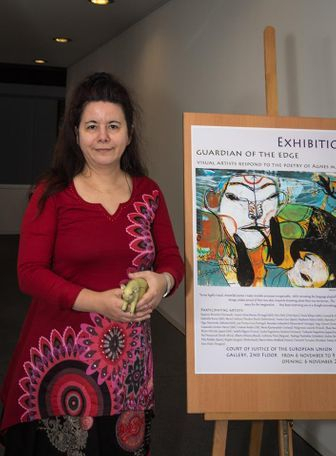 In the award-winning poetry exhibition project Guardian of the Edge 33 accomplished visual artists responded to her poetry. She has been a resident poet at the Scott Polar Research Institute at the University of Cambridge, on a research boat in the Arctic Circle, and also in Iceland, Italy, Ireland, Portugal, Canada and the USA. She is based in Luxembourg. She is looking forward to her writer's residencies in Ireland (Tyrone Guthrie Centre), the Azores (Disquiet), Serbia (Belgrade Art Studio), Spain (The Valparaiso Foundation) and Greece so that she could finish her first novel. Also, she is going to polish the manuscript of her second full poetry collection 'For Waltz You Don't Need a Compass' during her residency at the Museo de Arte Moderno Chiloé, Chile (the manuscript was a finalist of the Munster Literature Centre international competition).